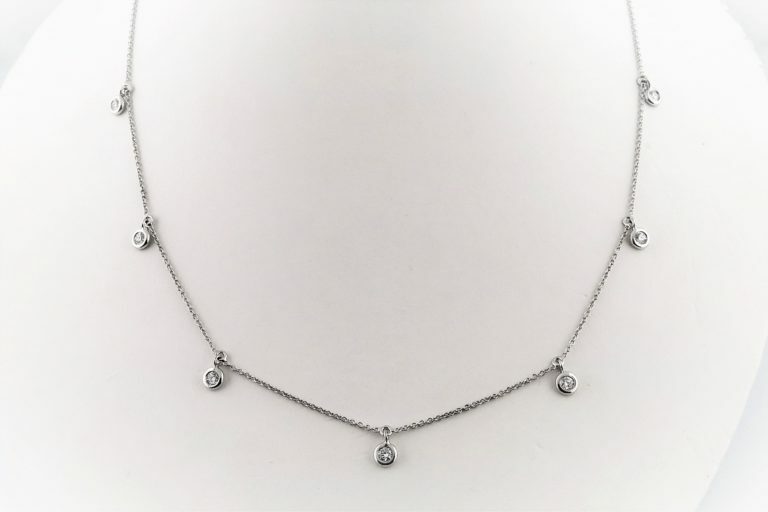 18kt white gold 18″ necklace with 7 dangling bezel set round brilliant cut diamonds, total weight .35 carats, color F, clarity VS.
Can add a jump ring to adjust to 16″. Can be made in 18kt yellow gold. Please specify metal color choice.